Go to SETTINGS > COMMENTS and check if comments have been enabled. I left a test comment in your blog and it didn't disappear. I will go leave another comment again to make sure. How do you create this post comment thing for the classic template? Is it possible? What "post comment thing"? If it is moderation from Dashboard, that doesn't depend on which template you use. It will be the same for classic as well as for new xml template. How does one remove a comment on a blog once it has posted? While setting up the blog, my partner left many comments as test - under the name Anonymous. Unfortunately, many commentors have followed suit and I'd like to remove the comments made during early tests with the site.. Is that possible? 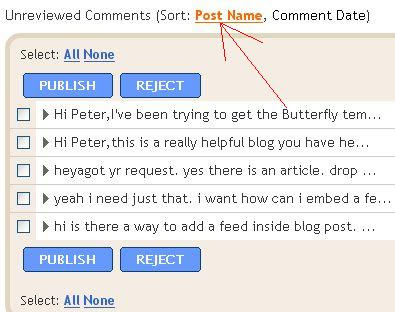 I'm pretty sure I have enabled my comments on my blog, but I still can't see if anyone is even able to comment under each of my posts. It doesn't seem to have become an option. maybe I'm just being a bit stupid. any insight appreciated! I see you are using the Simple template. Perhaps you need to go the SETTINGS > FORMATTING > COMMENTS and see if there is something you can change there.